This case study demonstrates the significant advantages of the Model 230 Uniflow, specifically at Functional Coatings, a custom, private label contract manufacturing company. Manufacturers have historically chosen Uniflow drum unloaders when facing unique challenges. We have pumped materials at rates up to 2,000 pounds/hour and with viscosities as high as 2 million centipoise. Uniflow hot melt drum unloaders perform better than competing machines primarily because of two features: platens and ram force. Our platens have 6,000 square inches of heat transfer surface, which is about double that of their nearest competitor. With more heat transfer area, we can achieve much higher melt rates. The Model 230 Uniflow has a hydraulic ram that generates 8 to 20 tons of downward force on the heated platen, compared to 2.5 tons or less on a pneumatic machine. This high force enables the machine to push the platen fins into high viscosity materials and take advantage of the large heat transfer surface. IMMCO has a comprehensive machine shop and manufactures nearly everything in-house. This gives us control over quality and lead times. When we promise a delivery date, we meet that commitment. Every time! Every machine passes a long list of quality checks prior to shipment so that your startup goes smoothly. The operation and maintenance of Uniflow Drum Unloaders are straightforward, so many customers don’t require startup assistance. A hot melt drum unloader must also perform well with the customer’s current products and provide the versatility needed to pump new products in the future. Uniflow offers that versatility. Functional Coatings is a tape manufacturer that makes its own adhesives, which most of their competitors don’t. This adhesive has a high viscosity, making it more difficult to pump. Functional Coatings’ sales are increasing rapidly, but their production was limited by the five hot melt drum unloaders they were using on their coating lines. These drum unloaders were made by one of our competitors and were continually breaking down. Additionally, the pump rate of these machines was limited to 400 pounds per hour. Payback time was Functional Coatings’ primary consideration in buying a new drum unloader, which could be reduced by increasing the production rate. 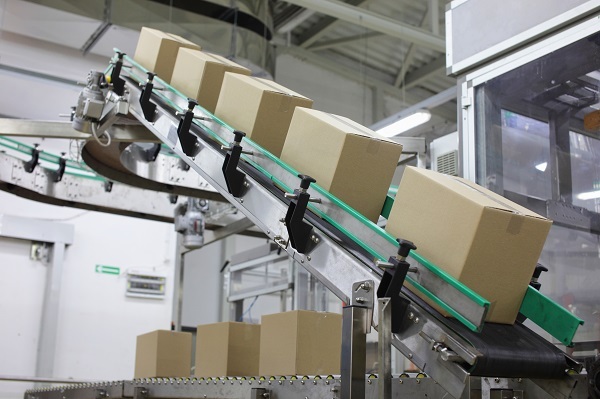 Several other tape manufacturers informed Functional Coatings they should install a Uniflow hot melt drum unloader if they wanted higher production. 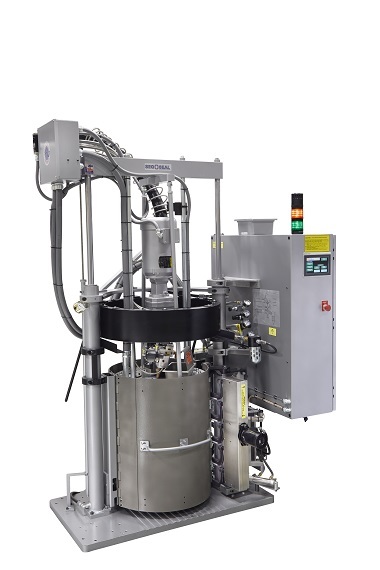 Gerry Fortier, General Manager for Functional Coatings, had already seen Uniflow drum unloaders in operation at other tape manufacturing facilities and was impressed with their performance. John Glaze, the Senior Technical Support Engineer at Functional Coatings, contacted IMMCO on July 25, 2017. He provided the information needed to generate a quote, and the IMMCO sales manager scheduled a visit to the Functional Coatings plant the following week. This visit allowed him to learn more about their operation and challenges, and to meet key players at the site. 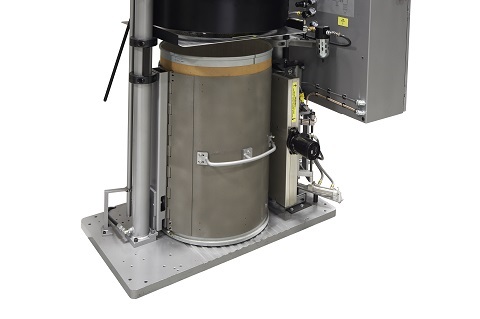 The platens in Uniflow hot melt drum unloaders have twice the heat transfer area of any other drum unloader, permitting them to pump adhesives at high rates. The Model 230 also has a hydraulic ram that generates a force of 8 to 20 tons, which is three to eight times the force of a pneumatic unit. Functional Coatings representatives were intrigued by these figures and wanted to see a test run. IMMCO only builds Model 230s to order, so an existing customer with a Model 230 needed to be found to perform the test run. Fortunately, Mactac is an IMMCO customer with several Model 230s that also does a great deal of business with Functional Coatings. Mactac agreed to run the test, which demonstrated the Model 230 was able to melt and pump the Functional Coatings adhesive at a rate of 800 pounds per hour. The Uniflow pump rate was twice what they were getting with their existing machines. The Uniflow Model 230 uses Allen Bradley PLC control. All of its electrical components are off-the-shelf and can be ordered directly from the manufacturer. IMMCO keeps an extensive inventory of manufactured and purchased components on hand, and most of them are available for same-day or next-day shipment. The Model 230 was shipped to Functional Coatings on January 23, 2018, which was about two months earlier than the promised ship date. The installation was straightforward, and no problems were encountered. Functional Coatings representatives were delighted with the installation of the Uniflow Model 230 and found that IMMCO’s performance claims were valid. Functional Coatings equipment operators love the Uniflow Model 230’s power clamping feature and its release coating on all of its contact surfaces. They also like the power of the hydraulic ram and the semi-automatic bleed/boost valve, which aren’t available on other drum unloaders. Additional features that are beneficial to Functional Coatings include the built-in controls that prevent inexperienced operators from making mistakes, such as attempting to pump adhesive before it reaches the proper temperature. IMMCO offers startup training at its facilities and the customer’s own site. Functional Coatings elected for their supervisors to receive training onsite at their own plant floor, enabling supervisors to subsequently train new operators and mechanics. Functional Coatings was very satisfied with this training. The Model 230 Uniflow will melt and pump adhesives faster than any competing machine. Need high production rates? We can help. Have a very high viscosity material? Uniflow is the best choice. We may be able to set up a test that will allow you to see how our machines will handle the specific material being pumped on your production line. Click on the link below to learn more about the Uniflow Model 230.